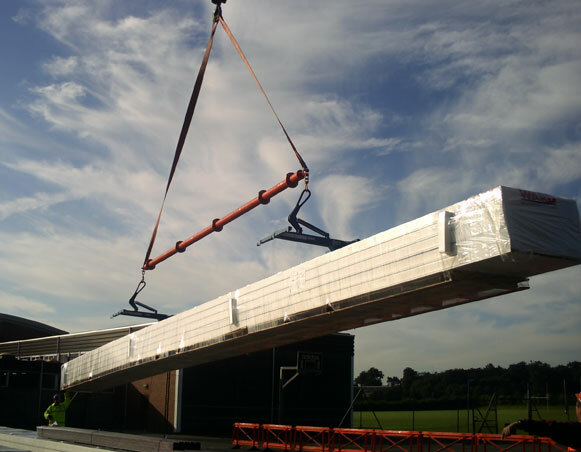 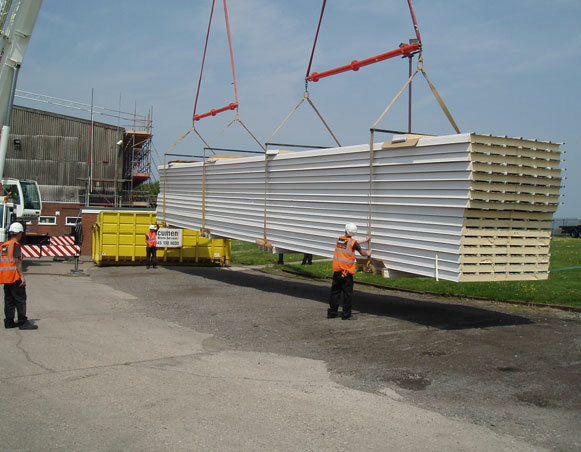 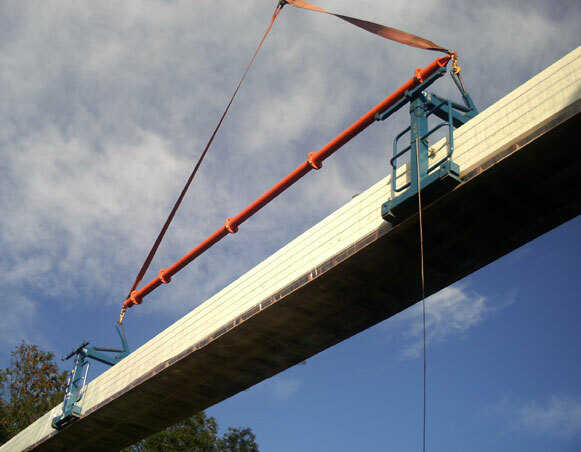 Developed in response to industry demands, the Pack Boy offers a unique solution for unloading long packs of composite panels quickly and efficiently, without the risk of panel damage and avoiding the need to truck climb. 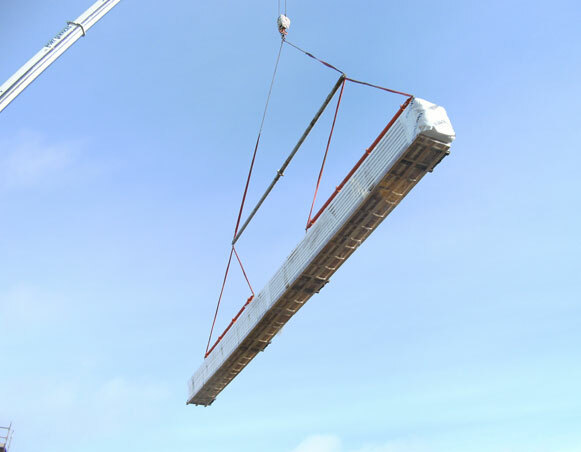 Packaged in component form for ease of transportation and storage, the Pack Boy is easily assembled on site. 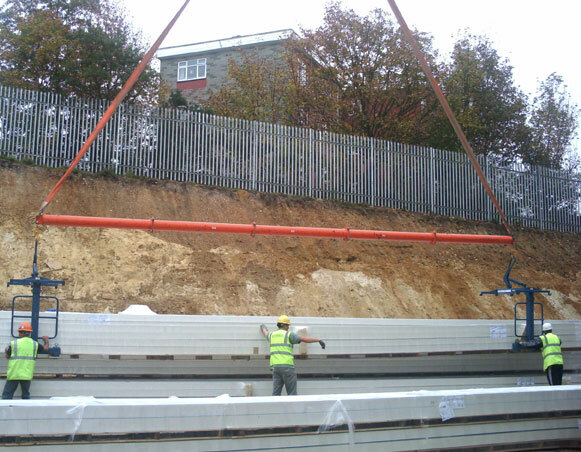 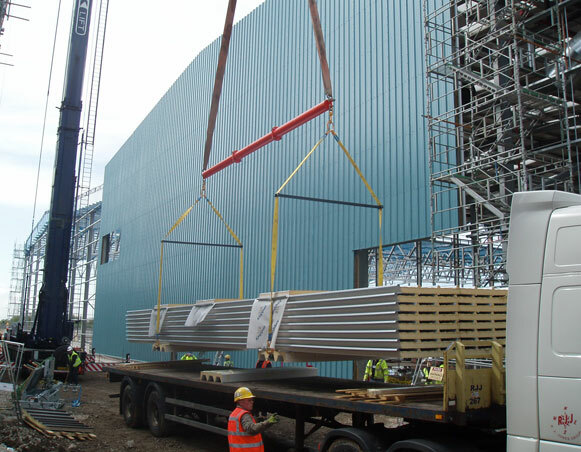 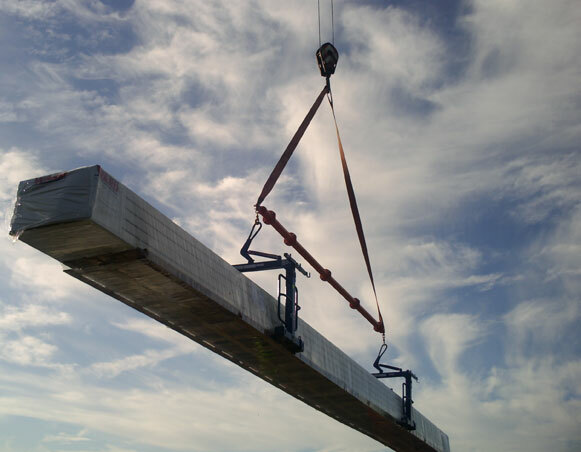 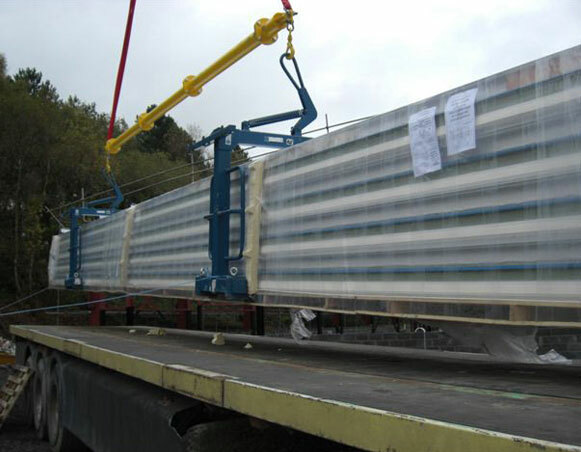 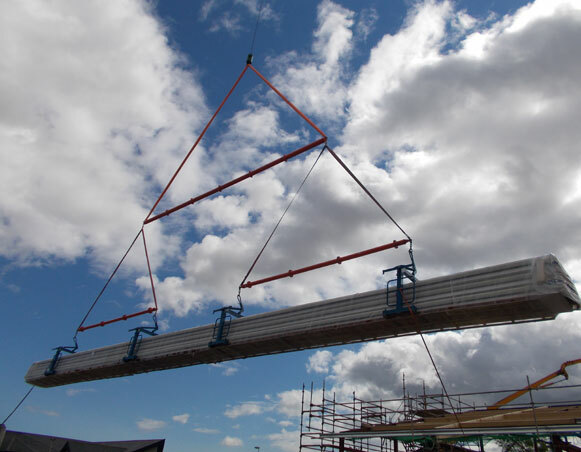 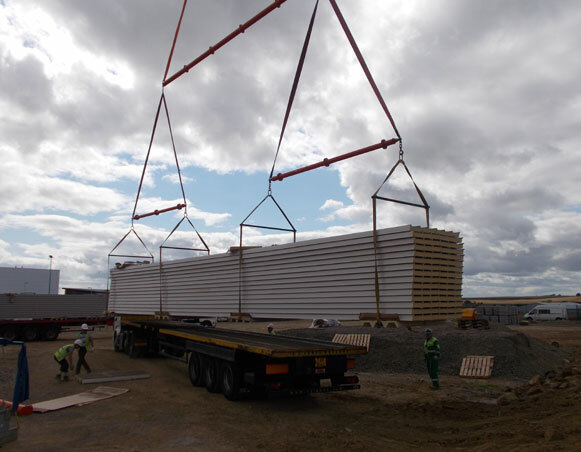 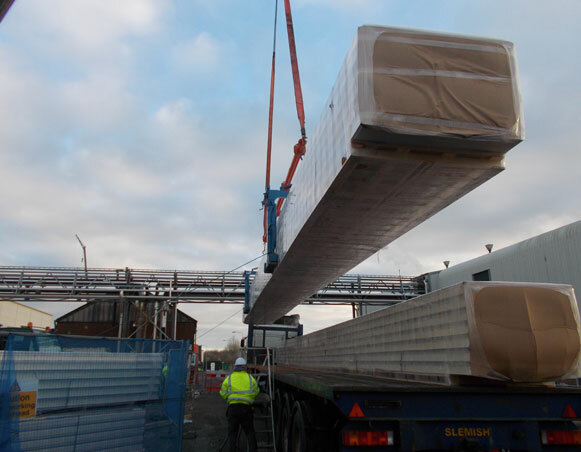 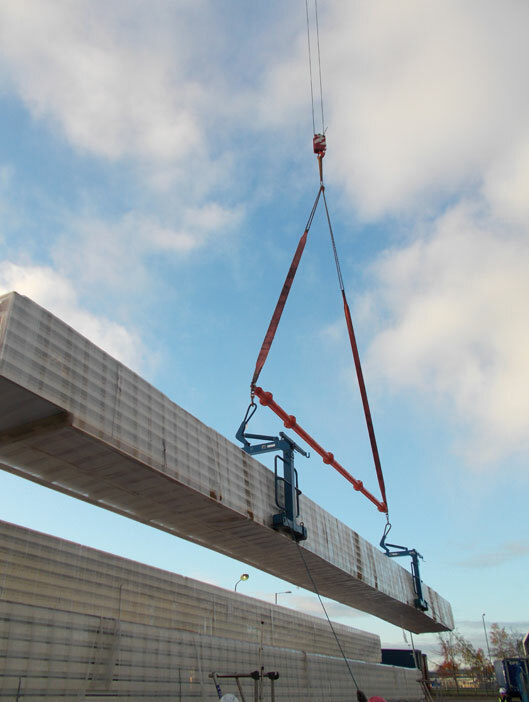 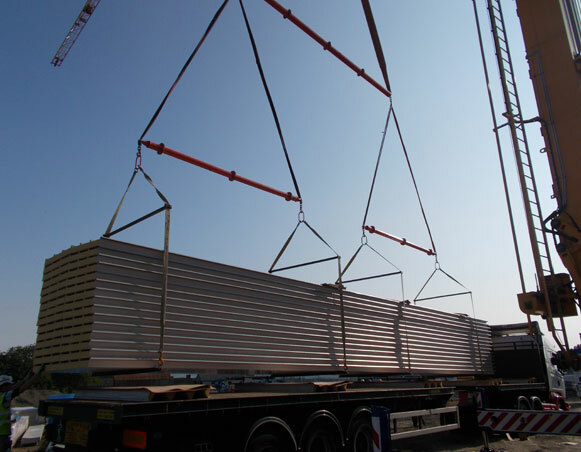 Suspended from a suitable crane, standard units are capable of lifting packs up to 20m long and 4 tonnes total weight. 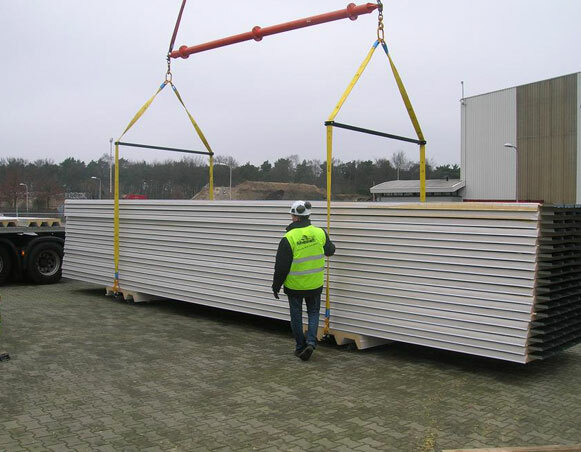 Heavy duty kits can handle panels up to 22m long and unique tandem Pack Boy arrangements can lift packs up to 30m long. 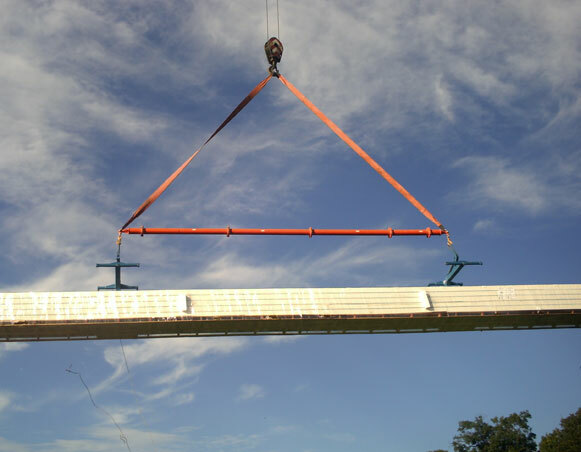 All Pack Boy kits are fully self-contained and include assembly tools, lifting slings, calculations, certification and additionally two sets of HSE compliant podium safety steps.